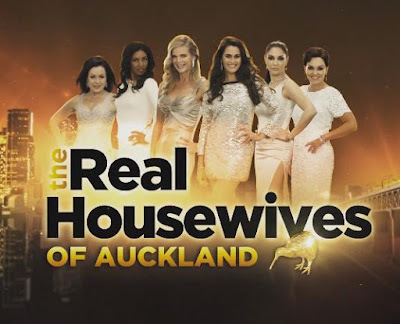 iRealHousewives | The 411 On American + International Real Housewives: New Zealand’s ‘The Real Housewives Of Auckland’ To Air In The U.S. On Bravo This Summer! New Zealand’s ‘The Real Housewives Of Auckland’ To Air In The U.S. On Bravo This Summer! New Zealand's very own The Real Housewives of Auckland will officially be making their U.S. debut as the first season will be airing on Bravo. Today, Bravo New Zealand, Matchbox Pictures, NBCUniversal Television and New Media Distribution announced that the Kiwi Housewives has been acquired by Bravo to air this summer. "It's great to cap off our first year of business with another success story," Maria Mahony, general manager of Bravo New Zealand told Spy. "We are very proud of our first local production and to be able to share The Real Housewives Of Auckland with US domestic audiences is a tremendous achievement for the production, and everyone who worked on it. And of course the Housewives themselves." The first season of RHOAKL premiered back in August 2016 in New Zealand and Australia with massive success. Season 1 cast consists of Anne Batley Burton, Angela Stone, Gilda Kirkpatrick, Julia Sloane, Louise Wallace and Michelle Blanchard. The first season consists of ten episodes with no reunion special. It's still unknown if the series will be getting a second season. The Real Housewives of Auckland is set to air in U.S. on Bravo this summer.